Pursuant to the Criminal Justice Act of 1964, as amended, (18 U.S.C. 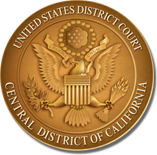 § 3006A) (the "CJA"), the United States District Court for the Central District of California administers and manages a plan for providing representation for any person financially unable to obtain adequate representation in certain circumstances by the appointment of the Office of the Federal Public Defender or private attorneys approved for membership on the CJA panel. The Court is seeking applications from private attorneys who are eligible and willing to serve as members of the CJA panel, and to be appointed to provide representation under the CJA Guidelines. CJA panel members may serve in the Western (downtown LA), Eastern (Riverside), or Southern (Santa Ana) Divisions. Attorneys who serve on the CJA Panel must be members in good standing of the State Bar of California and of the federal bar of this district, and have demonstrated experience in, and knowledge of, the Federal Rules of Criminal Procedure, the Federal Rules of Evidence, the Sentencing Guidelines and the Local Rules of Court. Qualifications for CJA panel attorneys are determined by the Court. Generally, the Court considers the amount and substantive area of state court experience (strong criminal law experience required), and state and federal court trial experience (five federal trials preferred). Specific qualifications are contained in the Procedures for the CJA Trial Attorney Panel for the Central District of California. For applicants who meet the qualifications for panel membership generally, but who lack sufficient trial and courtroom experience, a mentorship program may be available. The selected attorney will be assigned to work with an experienced federal criminal defense attorney from the Office of the Federal Public Defender or CJA Panel on one or more cases. Unfortunately, there are no funds available to compensate the selected attorney for their time and expenses. This program is designed to provide the opportunity to obtain trial and other federal criminal litigation experience with expert mentoring and supervision. Interested persons should complete the application which can be found on the Court's website under the "Criminal Justice Act" section. Applications will be reviewed by the CJA Trial Attorney Panel Defense Advisory Committee, which will make recommendations to the Court for approval. Applications and supporting documents should be submitted to CJA Department at Cja@cacd.uscourts.gov by June 1, 2018.